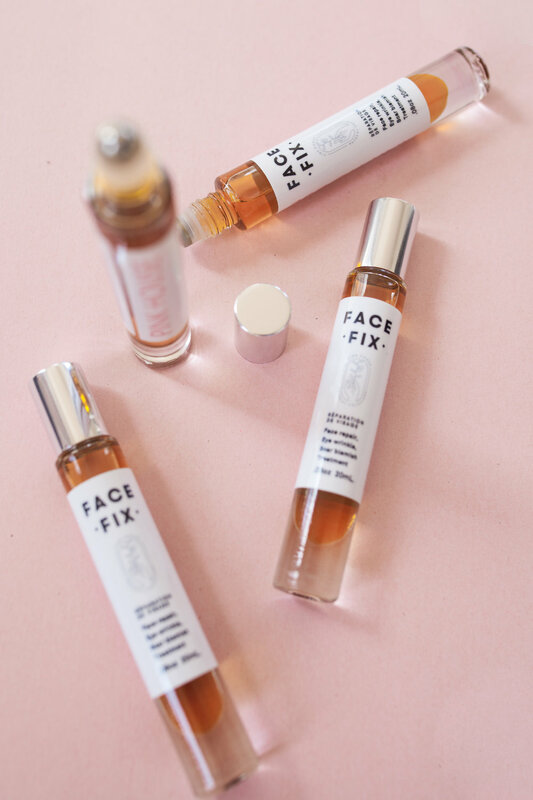 We launched Face Fix face serum in the Spring with Pink House, and we are so in love with it! It was so much fun to create a product that we were all really excited about before we even started picking out ingredients. Face serum is such a beautiful product yet it can be SO expensive! We wanted to create a high quality product with beautiful oils that would be affordable. These reviews just make me SO excited! I have also struggled with cystic acne, and face fix has been a dream for my skin. I had perfect skin in high school, and then as soon as I graduated BOOM, acne! I tried minocycline and tetracycline, and they worked for a while but as soon as I went off of it, the acne slowly snuck back onto my face. So discouraging! I went off dairy, I went off sugar, I tried everything. As soon as I started using Pink House products, my skin flared up. I didn't think the natural products would work. I stuck with it and after 1 month I started seeing incredible results. I realized that I had been using such harsh chemical "acne" face wash and toners, and acne wipes on my skin for years that the pH of my skin was totally out of whack. It took a while for my skin to rejuvenate back to its natural way of creating oils and working as it was made to, but it honestly took a while! This face fix has been so healing for my scarred skin and big scarred pores. It's amazing. I WOULD NEVER promote a product that didn't work for my skin because I have struggled with bad skin for 10+ years. It's just not a fun journey. What is your favourite skin regime? Do you have any favourite Face Serums? Do you have any questions about our Pink House products or my routine?